Signing upon receiving her instruments of election confirming her as the Electoral College’s unanimous choice as TT’s next President. 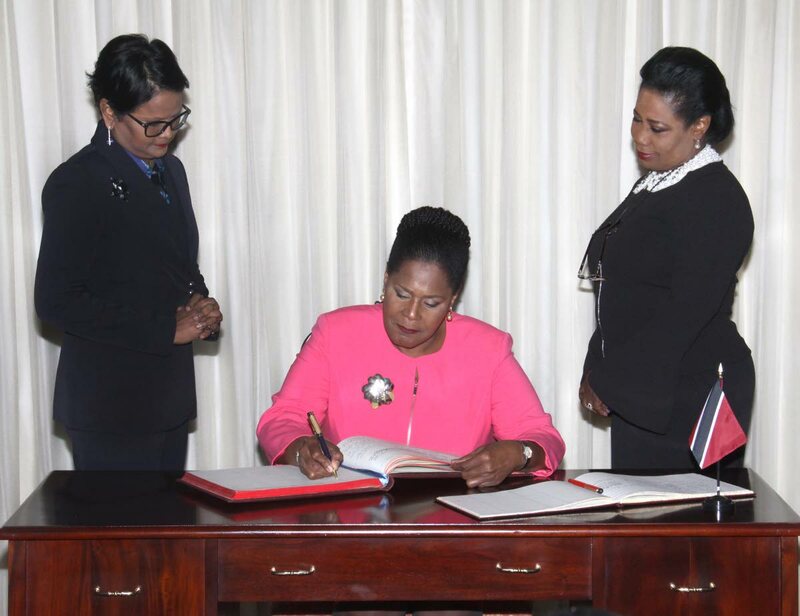 The following is the conclusion of Newsday editor-in-chief Judy Raymond’s interview with President-elect Paula-Mae Weekes which was conducted on Monday at the Parliament Tower, International Waterfront Centre in Port of Spain. The latter is important to her. As Chancellor of the Anglican Church since 1997, she has acted as its legal adviser, head of the laity and sat on various committees, from which she will resign later this month. There’s been more to her life than work and church. It’s not all glamorous and high-flying. She cooks, “not often, but well, if I may say so myself…though I can’t bake to save my life.” She used to run with the Bad Mind Crew, including four marathons, but now her limit is a “semi-brisk” walk – starting back that habit was her New Year’s resolution – and she goes to the gym. She’s an early bird, starting work at 2 or 3 am, and getting up by 4.30 am on other days, so it remains to be seen how she’ll cope with evening functions. On stepping down from the Bench, too, she began reading some of her many books, having “bought novels compulsively” for years, but she doubts she’ll have much time for that while she is President. Asked about the general perception of her, she laughs, promising a few surprises, because so far people have only seen one side of her. “More will unfold as time goes on.” She offers some revelations: she was a tenor bass player for Power Stars in three Panoramas, as well as being in the crowd at the Grand Stand in other years; played the recorder on Twelve and Under and in the Music Festival; and has played mas several times. She may not do cocktail parties, but she used to fete at PSA and Customs. “Oh yes,” she announces, somewhat startlingly, “I was a Soca Village queen in my time.” Is there anything she isn’t good at? “Singing. And I can’t play anything involving a ball. I’m dismal at tennis. And golf – oh no, please!” She says there are other things, but you’d have to ask. One imagines Paula-Mae Weekes regarding fuzzy thinking with withering scorn. 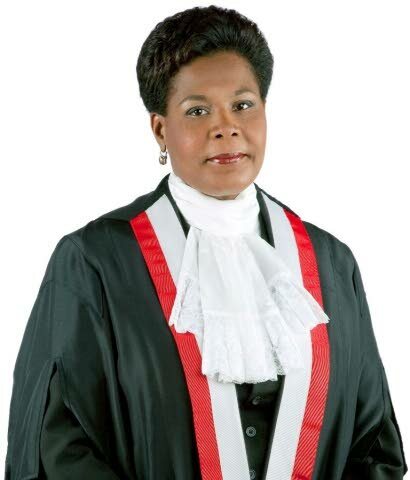 Her Facebook profile picture is a cartoon of a judge looking exasperated, on which a friend commented, “The patented Weekes eye roll.” One experienced attorney who appeared before her recalled, “No one could make you feel like a blithering idiot like Justice Weekes.” Sometimes she would slice and dice an inept lawyer so subtly they wouldn’t even realise it until long after. And mangling the English language before Weekes JA was a suicidal move. But she also speaks of “the small people,” singling out a woman she considers “wonderful,” always cheerful despite physical challenges, from Massy Stores in Diego Martin, “who’s been a mother to the young ladies who have passed through the store”; and a taxi driver who became a friend when she worked in the DPP’s office and travelled to San Fernando in his car. These are the people for whom she wants to be President. Reply to "‘My life no longer my own’"